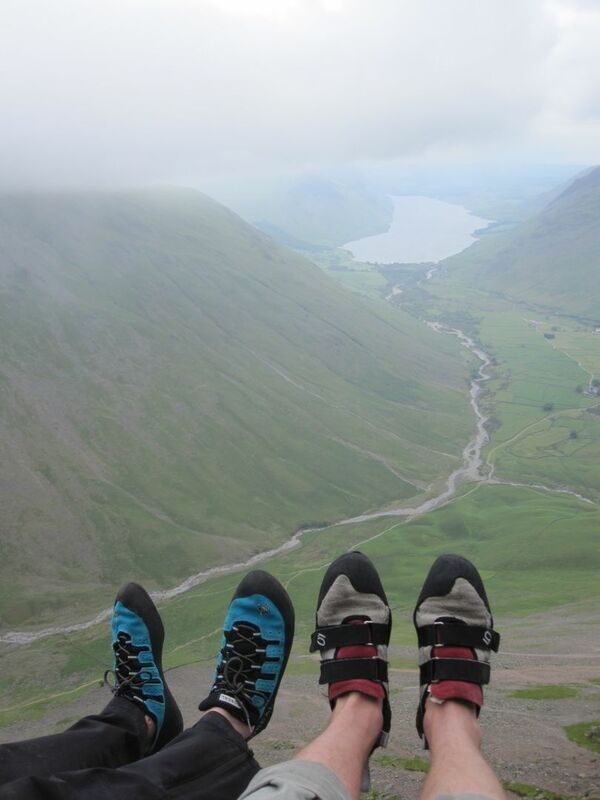 The crags of the Cumbrian fells or the Yorkshire Dales provide an ideal environment for climbing. 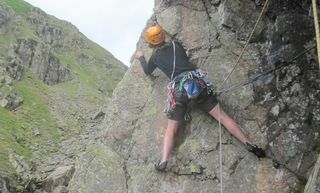 With a variety of easy-access roadside crags in Borrowdale or Chapel-le-Dale to the more remote cliffs flanking the higher peaks of Scafell and Pillar, there are a wide variety of climbing styles, ranging from easy angled slabs to steep crack and wall climbs. If you are just starting out on your climbing career then the below courses are ideal for you, come along and learn the ropes. 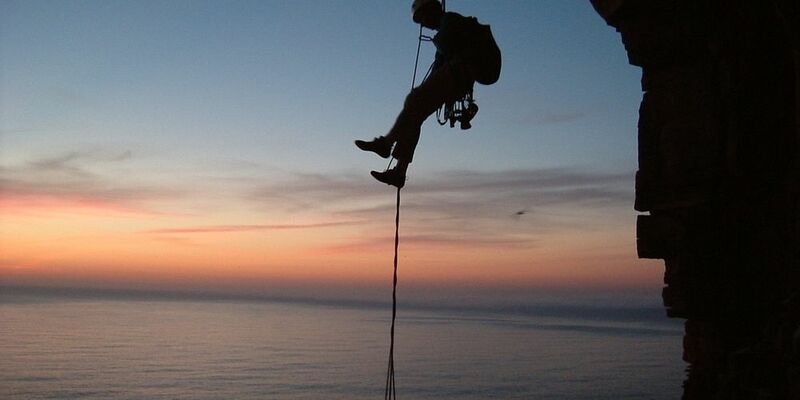 This course is designed for those with none to limited knowledge of climbing and wish to learn the basics to keep themselves safe and become a “competent second” - a vital skill if you are to join a club or follow anyone on the rock confidently. These days can be run at a single pitch venue with up to 1:4 ratio or multi pitch venue with a 1:2 ratio maximum. 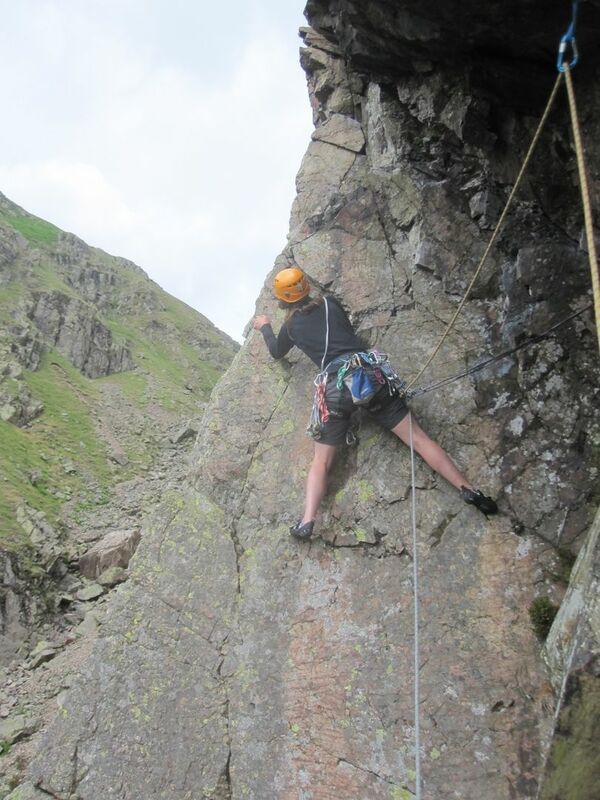 If you are looking to head to the crag and get on with enjoying moving over some of the Lake District’s classic rock routes then come with plenty of energy and enjoy a day out on the crag with one of Real Adventure’s Mountain Instructors. We use our vast local knowledge to cover as much rock as you can handle. Inevitably you will learn as you climb however we can mix the day with a spot of teaching and coaching of any area of climbing you wish. This is a taste of one of our “Classic Lakeland Rock” days… Climb Middlefell Buttress and head over to Gimmer Crag to climb Gimmer Crack - the ultra classic of the crag, rap down and quest up Kipling Groove, rap back down and then head out up F Route to finnish with a pint in the Old Dungeon Ghyll. Your Classic rock adventure can be tailored to your wish and climb those route that have been on your tick list for years. Weekday prices for Classic Lakeland Rock are discounted. We have been doing a few days of family rock-climbing with Dan every year, starting as complete outdoor novices and moving on to increasingly difficult and varied routes over the past five years. Dan manages to combine infinite patience, encouragement, and a great sense of humour with knowing exactly how much and how far to challenge us, so that each time we progress in ways we could never have imagined! Being able to overcome fears of exposure, managing multi-pitch severe (or harder) routes AND being able to enjoy ourselves at the same time is all thanks to Dan's experience as an instructor and his excellent people skills. We have recommended Dan and Real Adventure highly to all our friends and anyone who is looking for brilliant fun, challenge, and adventure! When I said I was afraid of heights in our exploratory email to Dan, I should have expanded and warned Dan what I meant i.e. so afraid that the last time I had been up a mountain I had a panic attack. We are both reasonably fit and active for our ages, and we had said we wanted to extend ourselves, so Dan chose a first day venue which he thought would be suitable for those goals but still modest enough for someone afraid of heights. Little did he realise that I was already not looking at the point at which we started the first pitch. Fairly shortly after that Dan was rapidly getting the idea about my fear of heights. So it is all credit to him that he still got me to climb the first two pitches of Middle Fell Buttress. This was entirely a result of his limitless patience, constant encouragement and the huge confidence he engendered by his attention to safety and detail, as well as his obvious overall knowledge of climbing in particular and the mountains in general. Dan also managed to balance my needs with that of my husband Michael who wanted to extend himself by going higher. Dan knew when not to coax me further however and we agreed that he would return me to base and then go on higher with my husband. Although the day was officially over by the time they got back, Dan was keen I should have some fun so he took us bouldering for an hour or so. At only 7ft off the ground I was absurdly happy but, adventurous and highly respected climber though he is himself, he never once let me feel stupid for my fears. We then all went for tea so that he could debrief us and ensure that we had worked out how to meet everyone’s needs best the next day. We settled on Hutton Roof which he managed to make interesting for Michael, yet manageable for me, since I was never more than about 25ft off the ground. We had a very happy couple of days and he sent both of us away, despite our different needs and abilities, with a sense of achievement apiece. I am definitely keen to continue, I’m amazed, so we’ll be back as soon as we can. Result!